Finally, real help and real answers. Do you want to free your body from pain in minutes? Sleep without using pills? Lose weight naturally? 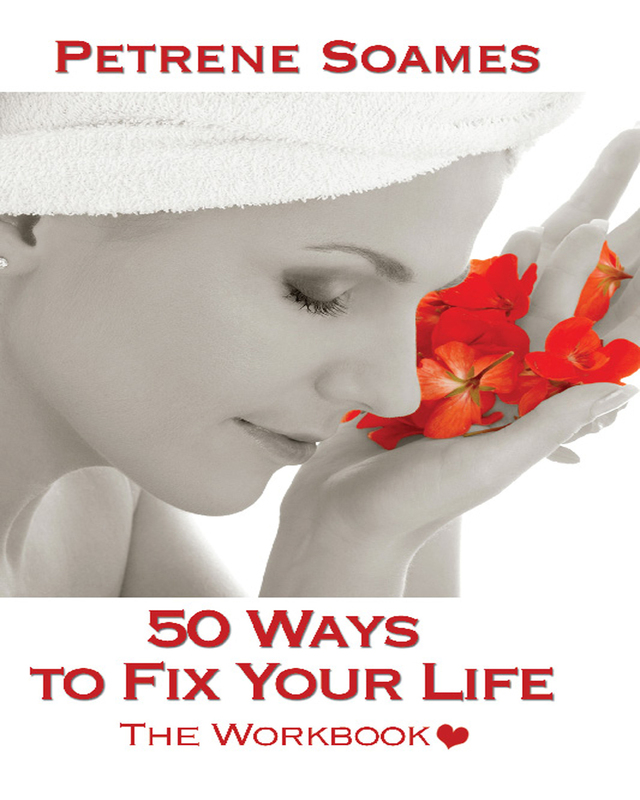 50 Ways to Fix Your Life: The Workbook contains easy-to-follow, self-healing exercises to do this and more. Understand how to put childhood abuse behind you; see troubled relationships in a new light. You will be amazed at these simple, yet extremely effective, exercises. Self-healing alternatives will help you stop physical pain and cut through years of trauma without the time and expense of endless therapy. Heal your mind, body, and emotions yourself. In this workbook, Petrene Soames offers empowerment by outlining the tools necessary to realize dreams. There is something here for all of us. You have no idea what you can achieve until you try! The Essence of Self Healing: How to Bring Health and Happiness into Your Life. Keywords:- Self Healing, Self Help, Depression, Weight Loss, Positive Thinking, Regression, Rebirthing, Psychic, Help, Self Awareness, Diet, Vegetarian, Inner Child, Creating Reality, How To, Change Your Life, Insomnia, Relationships, Finding True, Love, Family, Pets, Chakra Centers, Workbook, Inspiration, Simple, Natural, Wellness, Holistic, Philosophy, Vibrational Medicine, Color, Auras, Breath Work, Forgiving, Spiritual. Genres:- Health & Fitness, Self Help, General.